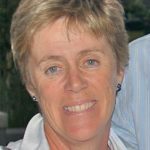 Anna has been involved in many sectors within the gardening industry and has been a loyal supporter of our industry for over 40 years. She worked in retail for a few years and then joined Lourensford Nursery gaining experience in marketing and production. During her time at Lourensford she started a weekly gardening column in District News and later in Die Burger. She has since then been featured in many publications and through the years has actively promoted gardening to consumers. She regularly speaks at events for the green industry and her off the wall humour and passions always get growers and retailers excited about their daily jobs. 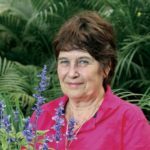 She has also done countless talks to gardening groups to the public – Hermanus to Smithsville, Bothasville to Vryheid she has been there. Anna continues to inspire gardeners both young and old sharing her passion and love for this hobby called gardening. The enthusiasm and initiatives shown by her to keep Garden Centres, Growers and industry and Trade shows up and running over possibly the most challenging business year for retail garden Centres in the Western Cape, is admirable. She has in my opinion really stepped up her game in making herself aware of all meetings, functions and City of Cape Town forums at the disposal of the industry this year at a time when retailers have had had less time to do so simply by virtue of being on the floor to keep standards up in their own businesses to ensure their survival. During this time Di has on various other committees and interest groups she serves on, been a beacon of light, attending on behalf of the industry most forums she was allowed access to. She is a very good communicator, sharing all with the industry. She has initiated question and answer functions with various industry collaborations and during all of this kept Garden Centres and allied trade and suppliers / growers appraised of status of water in the Western Cape, forwarding City Council notifications and keep all current and up to date. Di is a tremendous asset to our Western Cape Green Industry and therefore deservant of Merit SANA Award. Over the past decade there is not a GCA Member who does not know him. Always remaining objective and impartial with integrity and commitment keeping the aims and objectives at heart. As moderator for the GCA Garden Centre Competition for 11 years he raised the bar not only for garden centres but for those that will follow him in the evaluation process. Working with a new competition coordinator every two years, an evolving competition committee as well as supporting the SANA Presidents through the process takes a certain level of dedication and enthusiasm for the greater good than just being paid for a job. 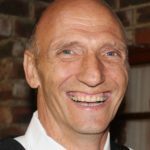 Through his moderating process and feedback sessions he informally mentored and guided many garden centres to grow, lift their standards, level of service and provide a better customer experience. Ultimately leading to raising the of the level professionalism in retail nurseries. GCA and indeed SANA recognise his contribution with this award and thank him for inspiring a new generation of retailers to become the best that they can be – Arthur Mennigke. With his enthusiastic personality and passion for nature and especially his knowledge of plants, it was easy to see that he will go far. He enjoys assisting clients and providing advice. He has also, out of his own initiative, taught farm workers at Garden World to read and write. Quite comfortable in front on the camera he has been a guest on many TV programmes such as Top Billing, Espresso, 50/50, Ontbytsake,Tuine & Tossels and many more. 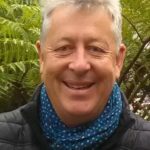 He also writes gardening articles for Tuis/Home as well as the Garden World Newsletter thereby sharing his passion with consumers. 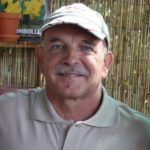 He can also be heard on Radio RSG where he and Derrich Gardner share their horticulture knowledge with listeners across the country. His book “Elke seisoen is jou beste seisoen” has developed from his love for plants, gardeners and listeners on Radio RSG and is currently working on a second book that is focussed on vegetables. Through this award we thank you for your teaching and inspiring consumers to love gardening. Dedication and commitment is hard to find. When it is combined with a passion for our industry as well as our Members, we are incredibly lucky as an Association. Spotted at Trade Shows, open days, conventions and industry events – no matter where you go, you can be sure to see him going the extra mile as it were. He is just as passionate about his products and gardening as a whole and is a green ambassador for our industry wherever he goes.